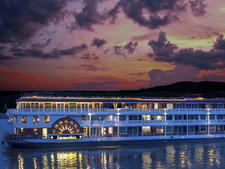 Founded in 2008, Heritage Line was developed to provide luxury river cruising in Vietnam, Cambodia and Myanmar. 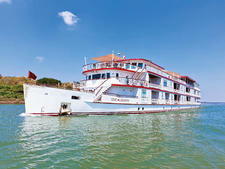 The company is a Vietnam-based venture and has six boutique riverboats with colonial flair. Heritage Line operates six English-speaking vessels on the Mekong River in Vietnam and Cambodia and the Irrawaddy and Chindwin Rivers in Myanmar (Burma). It also operates on Halong Bay. In addition to designing its fleet of ships, the company runs culture-rich onboard activities and shore excursions to provide passengers with in-depth experiences. Signature activities include informative lectures and workshops on local culture and traditions, cooking classes, performances by local dancers and the opportunity to take part in tai chi or yoga lessons. The ships have high crew-to-passenger ratios and the line prides itself on providing personal, but not intrusive, service coupled with warm Asian hospitality and a choice of regional and international cuisine. Vessels reflect the elegance of a bygone era and are decorated with local handmade artifacts. All cabins have private balconies and there is a pool on every ship, aside from the Halong Bay vessels. The Heritage Line attracts international passengers, mostly mature and well-traveled, who are looking for an authentic experience where they will get to meet local people and become immersed in Asian culture. 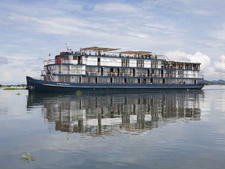 The Jayavarman and Jahan sail itineraries on the Mekong through Vietnam and Cambodia. The Jayavarman has 27 cabins, all with private balconies, which range from 226 to 290 square feet. The ship is decorated in French Art Deco style. The Jahan, named after the Indian emperor Shah Jahan, evokes the opulent vessels of British India and has 26 balcony cabins ranging in size from 322 to 387 square feet. The Anawrahta sails on the Irrawaddy and Chindwin in Myanmar (Burma) and was built to resemble a British colonial paddle steamer. The 23 expansive cabins all have a balcony and range in size from 516 square feet to a huge 925 square feet. The ship has a pool on the sun deck and other facilities include a spa and a gym. 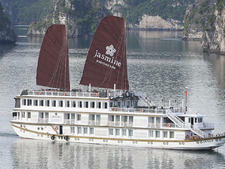 Two French-Indochinese-styled vessels, the Jasmine and Violet, sail through the UNESCO-listed Halong Bay. Designed to resemble traditional Vietnamese junks, the sister vessels have 23 and six cabins respectively that range in size from 182 to 258 square feet. A third vessel, Ginger, was added in 2018. 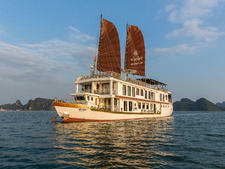 It sails on Lan Ha Bay, which is part of Halong Bay. The ship has 12 cabins and a pool. Travelers who will gravitate to Heritage Line cruises are excited about visiting the region, but don't want to sacrifice luxury to be able to do so. Expect an international mix of French, British and American passengers, plus Australians and New Zealanders. Passengers will probably in the baby-boomer age ranges and will have the time and finances to make this journey.